The responsibility for reporting and publishing research outcomes lies with the Chief Investigator. 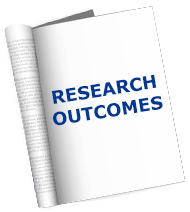 Research outcomes (not just positive outcomes) are of potential value to patients, their carers, healthcare professionals and researchers as access to information raises awareness and may contribute to the development of further research or avoid unnecessary duplication. Results of all registered research should be published on the applicable, publicly accessible registers and journals. It is important to close down your research study promptly after the end of study declaration so that the data can be analysed and reported within the required timelines. For all research except CTIMPs, the Chief Investigator should send a final summary report to the REC (that provided the favourable ethics opinion) within 12 months1 of the end of study declaration. Reports to the funder should be submitted according to the terms and conditions of the grant. Copies of the end of study report should also be sent to Noclor Sponsor Representative (sponsor). For CTIMPs, the final summary clinical trial report must be submitted to all relevant parties within 12 months1 of the end of the trial declaration. The Chief Investigator (as delegated) should send the final summary clinical trial report to the Noclor Sponsor Representative, where the research has been sponsored by a Noclor partner, within 11 months of the end of the trial declaration. Noclor will review the report prior to authorising submission by the Chief Investigator to the REC and MHRA. Noclor (on behalf of sponsor) will upload the validated outcome data from the clinical trial report onto EudraCT. Reports to the funder should be submitted by the Chief Investigator according to the terms and conditions of the grant. All correspondence pertaining to final reports (including acknowledgement of receipt by the relevant parties) should be retained by the Chief Investigator in the Study/Trial Master File (S/TMF). For CTIMPs, the Chief Investigator is advised to refer to the ICH E3 Guidance on Structure and Content of Clinical Study Reports. The Chief Investigator should refer to the funding contract where appropriate to ensure that they comply with the terms and conditions of the report publication policy. Noclor also requests that the publication policy is clearly defined in the research protocol (this is also requested in the IRAS form submitted to REC). The exact format of a publication will depend on the individual study requirements, the intended audience and the publisher requirements. When submitting a paper, article or report for publication it is essential that the appropriate acknowledgements and references (minimum requirement is the IRAS ID for all research and EudraCT for CTIMPs) are made to maximise awareness and transparency of the research and allow tracking of outcomes by all relevant parties. Missing or incomplete acknowledgments and referencing impedes citations in clinical guidelines for research impact evaluations. A copy of any final publications (report/papers/articles/chapters in books) that has resulted from a research project sponsored by a Noclor partner should be sent by the Chief Investigator to the Noclor Sponsor Representative (on acceptance for publication). The EU Clinical Trials Register contains information on all Clinical Trial of Investigation Medicinal Products (CTIMPs) being conducted in the European Union (EU), or the European Economic Area (EEA) which started after 1 May 2004. Summary clinical trial results for CTIMPs are posted by the sponsor on EudraCT and made available to the public via the EU Clinical Trials Register. The Department of Health and the NIHR require that, NIHR funded researchers seek to publish their research outcomes in a peer-reviewed journal that is compliant with the Policy on Open Access. Europe PubMed Central is a free digital archive of biomedical and life sciences journal literature, funded by a consortium of the leading UK and European biomedical research funders. It provides a stable and permanent online digital archive of full-text, peer-reviewed research publications. Papers and articles that have been accepted for publication should be deposited in Europe PubMed Central as soon as possible but no later than 6 months after publication (this a condition of most NIHR grants). The NIHR publish comprehensive accounts of its commissioned research (programmes) within its own publicly and permanently available journal series. The NIHR Journals Library, comprises a suite of five open access peer-reviewed journals reporting results from a range of health research areas. Final reports for studies funded by the participating NIHR programmes should be published as part of the NIHR Journals Library and its guidance for authors must be followed. 12 months is from the date entered as the end date on Declaration of the End of a Clinical Trial form (CTIMP) or Declaration of End of Study form (non-CTIMP) not the date the form was submitted. Timelines for reporting paediatric CTIMPs are slightly different; these timelines are set out in the European Commission Communication 2009/C28/01.